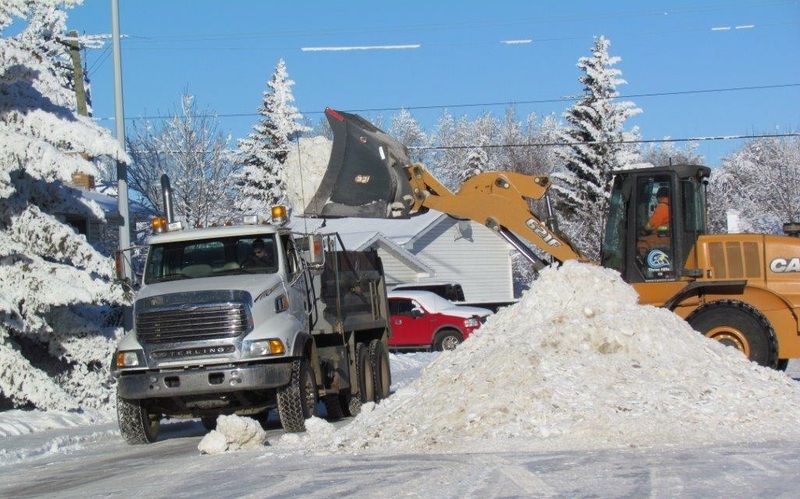 The Town of Three Hills works hard to ensure that snow removal is completed in a timely manner. For the safety of the community, it is imperative that specific areas are cleared first. As such, the Town follows the Street Maintenance Policy as approved by Council. As stated in the policy, snow removal will be completed in priority order. A colour code system has been issued for each area to assist with this process. Red will be cleared first, followed by Yellow and then Green will be completed on a rotation between Zones One, Two and Three. A comprehensive list of each colour category can be found in "Schedule A" of the Street Maintenance Policy or you can Download the Snow Removal Route map here. All sidewalks adjacent to municipal-owned buildings shall be cleared by Town personnel and equipment where possible. Sidewalks will be cleared in a timely fashion in accordance with the street snow removal priorities. All sidewalks adjacent to private property are the responsibility of the resident. In accordance with the Town's Streets & Sidewalks Bylaw No. 1181-99 the occupier of any residence or business shall have their sidewalks cleared of all snow and ice within the first 48 hours of a snowfall. When removing snow and ice, residents are prohibited from placing the snow into the street without prior written consent from the Town. All pathways within town limits will be closed for the winter with the exception of the pathway adjacent to 2nd Street N. Snow removal along Anderson Park’s perimeter will commence once all other pathways and sidewalks are completed. Parking lots will be sanded and plowed according to the street priorities in Schedule "A”. Snow will be piled at specific locations and then hauled away to the designated snow storage site when time permits.